The seal in long-lasting smoothness and humidity protection with this heat-activated blowout balm. Instantly helps to transform dry, frizzy, unmanageable hair into incredibly soft, sleek and shiny strands. This hands and emulsify product between palms before applying to dry, or towel dried hair. The roots to ends. Leave on for 5-15 minutes, depending on level of dryness. Its helps to transform severely damaged hair and Protects hair from breakage. 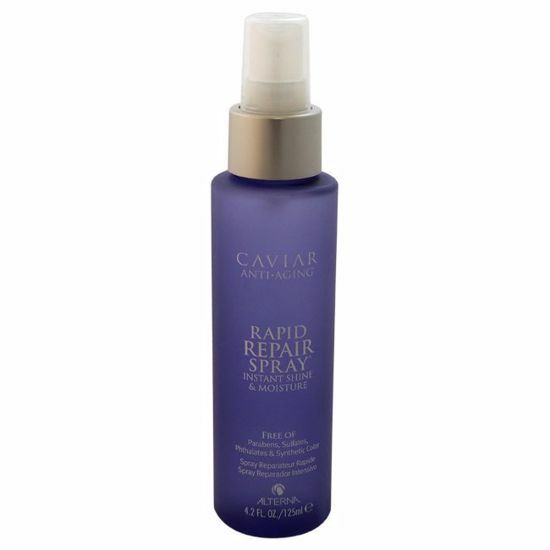 Caviar Anti Aging Overnight Hair Rescue repairs and replenishes damaged hair, restores and reinforces hair strength, and prevents future breakage. It absorbs instantly and won't leave greasy residue on pillows or sheets.